Next fall, all new freshmen attending ACU (Abilene Christian University) will receive an iPhone (or iPod Touch) when they get to campus. And, from there, the Apple gadget will figure centrally to students' campus experience. The iPhone is the latest and greatest "converged mobile media device," which combines in one gadget numerous functionalities -- internet and email access, phone, audio, video, and maps. And once you put a generation of students reared on mobile devices on this common platform, new ways of running the university in the 21st century start to open up. The changes begin with the way university administration gets done. ACU envisions students using their devices to check their meal and account balances, access course calendars, receive news and special bulletins from the university, and tap into the university phone/employee directory. Not far down the line, the university anticipates that the iPhone will fulfill certain registrar functions -- meaning that students can use their iPhone to scope out, and even enroll in, various classes. Then, they'll add some e-commerce to the mix and let students use their mobile device to conduct commerce with the bookstore and university restaurants. Are you starting to get the picture? 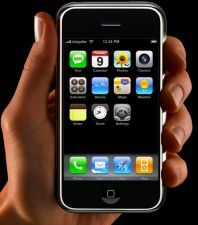 The iPhone becomes a "one stop shop for information and services" that can be accessed on the fly. But what happens in the classroom? I had a chance to catch up with Bill Rankin, the Director of Mobile Learning Research (and also Associate Professor & Director of English Graduate Studies) who shared some of ACU's thinking about how the iPhone creates new teaching opportunities. For starters, the device will allow students to access syllabi, course documents (created with Google Docs), homework assignments and podcasts that complement the course. (Imagine students downloading podcasted lectures from previous classes, or listening to clips of Mozart in their music appreciation class, or reviewing bits of French dialogue in the French 101 class.) From here, the pedagogical uses of the iPhone start to deepen. According to Rankin, the Apple gadget will give teachers the ability to conduct real-time surveys that gauge student perceptions of the class (are they understanding the course? is it moving too quickly?) and use the feedback to make the classes "more carefully tailored to the interests and abilities." It's also an added perk that the iPhone will let students contribute to the class through their online persona, which, research shows, "emboldens students [particularly shy ones] who might not otherwise share their ideas." Then there's this scenario (and others like it): With the iPhone, the "biology class in the field will be able to photograph specimens, post their findings to other classes not currently in the field, communicate with experts, and use the web to identify and research specimens. That's transformational, and we think it will offer distinct advantages to our students." Lastly, the iPhone opens up the possibility of creating "hybrid" courses, which means courses conducted partly in the classroom and partly online. For more on the hybrid concept (and other facets of the project), you can watch the video posted on YouTube that introduces ACU's iPhone initiative. We've posted Part 1 below, and you can access Part 2 here. To get more insight into ACU's intelligent thinking about the potential educational applications of the iPhone, you should spend some time on their "Connected" web site. It would have been even better if they had taken a more open approach (Google Android based?) rather than locking themselves into a proprietary product that in any case will look quaint in a few years. Lovely. And how is the university paying for all this? The hardware, the support, the materials and resources development, etc. ?